Custom police coins and police challenge coins have become popular trading tokens as well as a tangible means for law enforcement agencies to build a sense of team. Medalcraft Mint, one of the USA's leading medal manufacturers, works with agencies to craft premium coins that reflect highly on the department. 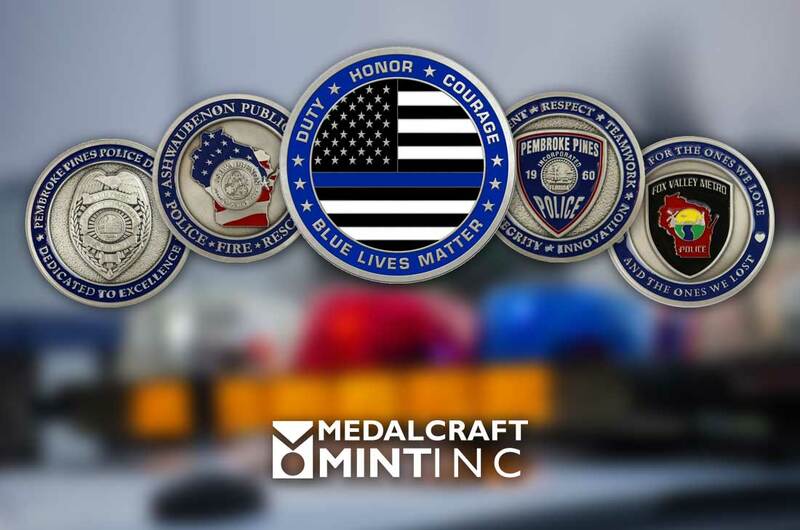 "Our team is honored to produce police coins for departments across the United States," says Jerry Moran, owner and chief executive officer at Medalcraft Mint. "The fact that we are a Wisconsin-based company and every step of our production process takes place in our Green Bay facility sets us apart from foreign suppliers." "It is common for families to pass down police coins through the generations as treasured keepsakes," Moran says. "We take our responsibility to produce the finest police coins available seriously. The men and women in blue and the support staffs that make our communities safe deserve nothing less than the best." View original article on police coins here.